Need more when selling your car than a quick cash payment? Perhaps, a free car removal or scrapping services for the car? No worries. Cash for Cars Adelaide is here! Get cash up to $9,999 on the spot when you call us. We are your Lonsdale car buyer that is ready to buy your car in “As Is” shape today. Call us for a quote. 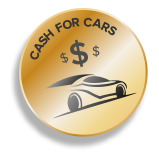 Cash for Cars Adelaide is your car buyer in Lonsdale that is ready to make you a cash offer for your car today. We pay up to $9,999 cash for cars. You may think that you won’t get an offer that is equivalents to more than a free removal for the car. Guess again; we are your Car Removal Lonsdale company that will make you that offer that puts cash in your hand. We are your Lonsdale car buyer that pays up to $9,999 cash for any make and condition of car, truck, van, SUV, 4×4, or bus. Get cash today; call us. At Cash for Cars Adelaide, you have a buyer that requires nothing more than giving us a call to buy your car of any make and condition. We buy cars over the phone and online. Quick car sales are our business; and, that does not mean that our customers won’t get a fair cash payment. We make fair cash payments on each car we make an offer to buy. Get that fair cash offer that could be worth up to $9,999 cash by calling us for a quote. 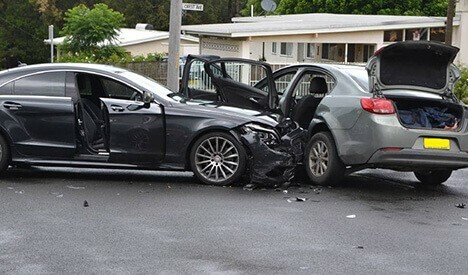 With Cash for Cars Adelaide, you have a Lonsdale scrap car buyer. We buy scrap and wrecked cars for our wreckers and recyclers to convert them to cash for our customers. With us, you have an excellent wrecker that is ready to put cash in your hand for your scrap car. Why pay to have your car told off your property when Cash for Cars Adelaide services in Lonsdale car owner with free car removals. We are the removal company that arrives with cash up to $9,999 and all the paperwork to buy your car, towing it away once the deal is complete. Contact us for a cash quote at 0413 221 574, or fill out our online form at the top right of this page. Accept or reject our cash for cars offer of up to $9,999 cash. Schedule a free car removal anywhere in Lonsdale at a time of your convenience. Our business is buying cars, and one that we love; and, love beating our competitors with high cash offers for cars of every make and condition. To obtain a quote call us with the make, model, year, and a complete description of your car. Car owners can also obtain a quote through our online form at the top right. We pay instant cash for cars at the time we come to buy and removes vehicles, so you can be counting your cash today!